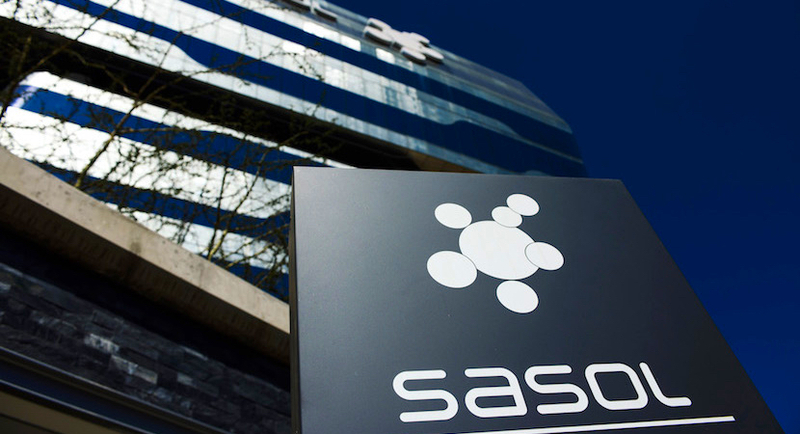 Sasol reboots Inzalo; new scheme guarantees solid returns for BEE shareholders. The transaction began in 2008, and it will, end in the middle of next year so, we are preparing for the end. It actually doesn’t end this year but we can see where it will likely fall at the termination. So, we’re talking about the implications of that. As you know the ‘Inzalo Plan’ was very broad in the numbers of people that were included. It included about 23,000 of our own employees, over 250,000 black South Africans and, then also some selected groups, (black business groups) that worked with us in terms of suppliers, franchisees, and such. In addition to that we established the Sasol Inzalo Foundation as a part of the initial transaction so, at the time back in 2008, the whole intent was to set up a mechanism where we could transfer interest, (unencumbered interest) in Sasol by issuing shares or raising shares. At the time, the gross value of that issuance was about R28bn. Big numbers but it was, as you’ve mentioned, reliant on a share price also playing its part and unfortunately, that hasn’t happened. That is quite correct so, the scheme, at that stage, was designed to actually pay off and service the debt through a share appreciation as well as a dividend yielded from those shares. Now, if one basically propounds yourself to 2018, the fact that the oil price did drop from the point that the scheme was incepted in 2008, from $100 to $50, where we’re currently trading at. It had a significant impact in the Sasol share price appreciation. Hence, it didn’t really provide the growth in the share price to effectively service the debt, and let alone the dividends. Although, having said that, over this period of the dividends to the value of R7.6bn has been paid out. R2.5bn of those dividends were returned to the shareholders of Inzalo, but R5bn was paid to the different vendors or loan providers during this period of time. Read also: Sasol CEOs target stability to get the stock re-rated into line with peers. So, has anybody made any money out of this? Yes. Basically, if I can maybe just share with you briefly in terms of the value that was distributed. Employees (over this period of time) received R1.6bn of dividends. Although they will not receive any shares at the end of the period, R1.6bn of dividends was declared to them. The Inzalo and public groups unfortunately, didn’t benefit from any share appreciation or dividends, as most of the dividends were actually paid to banks and to service their debt. The Foundation benefited to the value of R500m of dividends. That was effectively, distributed to enhance studies in maths, and science. To develop teachers to be more eligible to provide more quality education, as well as a myriad of bursaries to previously disadvantaged people. Lastly, the cash offer also received dividends to the value of R400m during this period. Thanks for that Paul. It does show that there was benefit. Clearly the share price didn’t play along so, that was the way this last one was structured but you are now bringing in a new opportunity called Khanyisa. Bongani, are the public going to be taken into account and given a better way this time around because presumably, you’ve learnt some very good lessons from the Inzalo scheme? We certainly have and if I can illustrate the few salient points, which are different between Sasol Inzalo and Sasol Khanyisa. Instead of relying on the share price and the vaporous nature of the market. This scheme now is closer to Sasol SA and then it’s also closer to the asset and the cash flows of Sasol SA. Then the other learning we have is that the definition, in terms of black people has changed from the DTI because now for employees, it will include black employees for phase 2 of the transaction. Phase 1 will still include the white employees, which were there in Inzalo. Yes so, basically to that point in terms of Inzalo it is restructured. If you don’t receive dividends your net value, as Bongani said, was only transferred at the end of year 10. What we will aim to achieve in Khanyisa is to distribute round about unencumbered debt, which is quite important in terms of the new DTI code, as from day-one. So, the scheme has a total value of R20bn and R3bn of un-incumbent debt will be distributed to sole BEE shares in the form of bonus shares, on day one. So, that was the old sole BEE cash offer to participants so, they will receive a bonus share issue on day one, amounting to R3bn of the R21bn. Then after 3 years, as Bongani said, our black employees in Khanyisa will then receive bonus shares on an unencumbered basis and that will be issued to them in the form of sole BEE shares, based on the election. That will be another R2bn of net value distributed after 3 years. Then lastly, as that Khanyisa Essop, which is then the black employees plus the black public, will then effectively after the end of the 10 years or sooner, as we pay off the debt, will then receive sole BEE shares for the value in Sasol SA. Which effectively means that you achieve an ‘evergreen status’ with unencumbered debt through the 10 year period. You’ve mentioned ‘sole BEE shares.’ What exactly are they? The sole BEE shares are now the BEE shares on the JSE because we’ve got these sole BEE shares and then we’ve got SOL, which is the Sasol Limited Shares but it then trades at a discount. But the discount we foresee will narrow as the liquidity improves. Where it helps us is that then there is continued BEE shareholdings so, you get rid of this whole debate of ‘once empowered always empowered.’ It’s important for me to illustrate that once the debt has been paid off in the ownership of Sasol SA, it converts to sole BEE, but sole BEE is based on Sasol Limited. Just to go back to those sole BEE shares. How are you going to be sure that only black people are buying them on the JSE? The JSE has got mechanisms to ensure that. So, the JSE themselves, have got the mechanisms? Yes, that’s correct. It’s very much in a form of a FICA certification that you’ll do when you go to a bank. The JSE has those vetting processes in place to ensure that before you start trading that you are certified as a black person, as defined by the codes. Just to go back a little bit. If I understand you correctly, Paul. This is a R21bn transaction with Khanyisa. How big was Sasol Inzalo? Sasol Inzalo was R28bn, and Khanyisa is R21bn so, what is the difference effectively, between the two? Ultimately the foundation is now also part of Khanyisa but all of the debt has been written off as part of Inzalo. Effectively, you get the benefits of the foundation that will continue until perpetuity but effectively, it doesn’t cost you anything to empower. Yes, that’s one of the benefits and the rollovers of Inzalo. The second one is, and again, I think you’re also aware of this, is that we have restructured the company quite significantly over the last 5 years. Hence, the quantum of employees has reduced at Sasol level by close to 5,000 less people. So, effectively, much more employees participated in Inzalo compared to what will participate in Khanyisa, as the result of the company’s numbers just being lower. You said that debt has been written off. How much and is that going to appear on your income statement? So, basically the debt that will be written off is basically, the notional debt. I’ll speak to you about the bank digits now but the notional debt that the company has forgiven is around R13bn and it relates to the Inzalo Essop Scheme and it also relates to the Foundation. So, the Foundation debt was round about R3.5bn and the Essop debt was round about R9.5bn. Hence, that gives you the R13bn of debt that has been written off. Because it’s vendor held debt and it eliminates on consolidation, the equity in the debt effectively cancels. There is no impact on the income statement in terms of writing off the debt so, the shareholders will not have any further impact other than the original 2 charges or the share based payment charges that were raised at the beginning of the transaction, in 2008. However, when it comes to the groups and the public that’s third party debt so, effectively what will happen there is you have to issue those shares that’s currently a security against the debt so, you need to service R12bn debt at a R400 share price, which it is today. There is a shortfall on the R12bn of R2bn. So, effectively if you sell the shares at R25bn, you only will receive or have proceeds to the value of R10bn so, there’s a shortfall of R2bn. So, Sasol in 2008, provided a guarantee to the banks that will step in for any shortfall. Hence, also when the scheme unwinds next year, and if the share price is at R400, which is our current position, then Sasol needs to provide an additional R2bn to the banks to actually, keep the shareholders whole and that we also then effectively, plan to do. The fact of issuing these shares for the public and the groups and, also doing the top-up equity base, which I just spoke to you about, will mean a faster dilution for shareholders. Alright so let me just understand this so, that I get it really clear in my head. People were given shares, backed by debt. The share price has not risen as a consequence of that, you have to either go to those people who have the shares or who own, in notional terms, the shares and get the money from them or you can write it off. And you’ve decided or Sasol has decided that you would write that off. So, you’ve written off the Foundation’s debt and you’ve written off that other R9bn Essop debt, as you were talking about and then the shares that would have been issued to those people are no longer going to be issued so, that all stabilises and balances out. But what happens to the person who put money up? There was, with the initial Inzalo basis, there was money that certain people put in, either as a percentage of the shares they were requiring or maybe they even bought all the shares. What happens to that? Do they retain that money or does it disappear? Does that get converted into Khanyisa? Yes so, let me take you through the 3 elements where people did put money up. In terms of the cash offer – that’s where people or black participants effectively bought the share, using all of their cash. There they’ve actually put R1bn of their own money in, when they bought the share at R366. Just remember that at the time the share price was around about R400, and Sasol then offered a 10% discount so, ultimately the black public on the cash offer then only paid R366, but that combines into R1bn. Effectively, what will happen is that’s on the sole BEE Index, as Bongani explained, and they still have those shares at today’s prevailing value which is slightly higher than the R1bn. I think it probably sits at R1.4bn if I’m not mistaken. So, there was a very limited growth in terms of that equity but the equity is still there. When it comes to the groups and the public, those 2 groupings actually put up R600m altogether, for acquiring those shares. I think they paid around about R21 out of the R366. Now, if you do nothing today, at the end of Inzalo, they will effectively lose those shares. That’s why we also issue bonus shares in Khanyisa to kind of make them good for the R600m that they’ve put up, plus a slight increase on capital. Ultimately, for the R600m they will get around about R1bn in the equivalent value of bonus shares so, it’s a slight increase, from the R600m over the 10 year period, but that’s the way that we believe that we need to make them good for the capital that they put in. Yes, so if I can add, we are in fact advising the cash shareholders so, that they can be able to own sole BEE so that we can have a better BEE status. They will get one additional sole BEE share for every sole BEE share they had so, it’s almost 25%. In addition to that they will get one for one for every 10 Khanyisa shares held so, that is to make sure that they get more shareholding to almost compensate them for the discount, so that they can stay within the sole BEE. That’s very generous. Are you going to be having a public offer as well, with the new Khanyisa Scheme? No, it’s limited to the players who are there. However, and this is in exchange going forward, for the shares, which are being traded on the sole BEE. 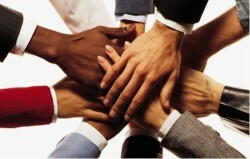 People can trade openly for those, which can be traded. The bonus shares – that will be given at day one if you participate in Khanyisa. You can trade those to another individual on sole BEE. All right so, again, I just need to get this really clear in my mind. Khanyisa is only going to be available from day one or from day zero rather, before the new sole BEE shares are listed on the stock exchange. It’s only going to be available for those people who have participated in Inzalo and you’re going to make good for those people that (A) they don’t lose any more, they don’t have to pay off any debt, and in fact, they’re going to remain as shareholders now, in Khanyisa, on top of which they’re going to get a bonus share, which will make them pretty happy, I guess, all round. They went into something. The share price actually went down, but they’re not going to lose anything and they’re going to be even better positioned into the future. Am I reading this correctly? Partially. So, the share price didn’t go down. It just didn’t go up enough to cover the debt, to service the debt. So, because of that there is very little value. There is some value, especially for those who paid cash, but what we’d like to do is we really want to push further in terms of transformation. So, we’d like them to stay in the sole BEE one so, we’re trying to give an incentive for them to be able to see the value of doing that. We want them to participate in the new plan, and if they do that then they’re going to get a bonus. If you paid cash, you’d get a bigger bonus than if you were one of the individuals or groups that had external financing but in both cases, you’re going to get quite a bonus to participate. So, Steve, if you had a 100 Sasol shares through the Inzalo Scheme, and you paid for that. In other words, the people who put R1bn up right in the beginning and you paid your R366 a share. How are you going to be treated now under Khanyisa? What you’re going to get is you’re going to get a bonus. From day one, you’re going to get 25 sole BEE one shares, and then actually, an additional 10 sole BEE one shares. So, in total, you’ll have 135 sole BEE one shares. So, you are a lot better off than had the Inzalo scheme just terminated, as it’s going to happen in about a year’s time? Yes, that’s correct so, again, you went from having 100 shares of Inzalo, to having 100 shares of Khanyisa plus 35 shares of sole BEE one, so that is how it would work. The Khanyisa Scheme is only on the Sasol SA operations. Presumably then it is still exposed to the Rand oil price. What happens if that were to fall and then the valuation of Sasol SA were to decline? That’s a very fundamental question and I can give you the assurance and I’ve asked this question 200 times. You don’t want to land up in the same situation so, I think from a design perspective, it’s firstly to understand what is NSSA? So, it is our chemical assets. It is the Sasol Synfuels and it is the gas assets so, very highly, and cash generated assets but again, to your point, very exposed to the Rand/oil price. So, the way that we then structured the deal was to test, in terms of how much net value at the end of a period, will be transferred to shale, even at the $50 oil prices over the 10 year period and a Rand that remains strong (meaning a Rand that is R13) over the period. Ultimately, we’ve stress tested against that but I will say that the fact that we issue these bonus shares and you get the benefit of un-incumbent debt – day one. The fact that you do the incentive to your employees of 100,000 in year 3 already, kind of puts you at the minimum of the net un-incumbent requirement of 10% (already by doing those things). So, effectively, in a low oil price environment, not the full value, will be transferred to employees and to the public. However, I will say close to half of the value we’ll transfer and that will then allow you to get very close to a 25% net un-incumbent level as opposed to the 10% that the codes require. That helps you then, effectively, to achieve a level-4 and above status on the DTI codes. It sounds like you’ve done a lot of work on this. How long has the discussion continued for? The discussions have been going on with the board for the past year and we’ve been debating this and trying to perfect it because the objective being that Sasol is very important and fair, it’s not an option. We’ve also been checking with the regulators to make sure that we are not missing a trick. The key issue for us is to make sure that we expose the shareholders to part of our company, which is likely to have a very high probability of being free cashflow positive. Compared to if you look at the whole global portfolio. Even the growth earnings and so on, there is a risk that, from time to time, it might be compromised. 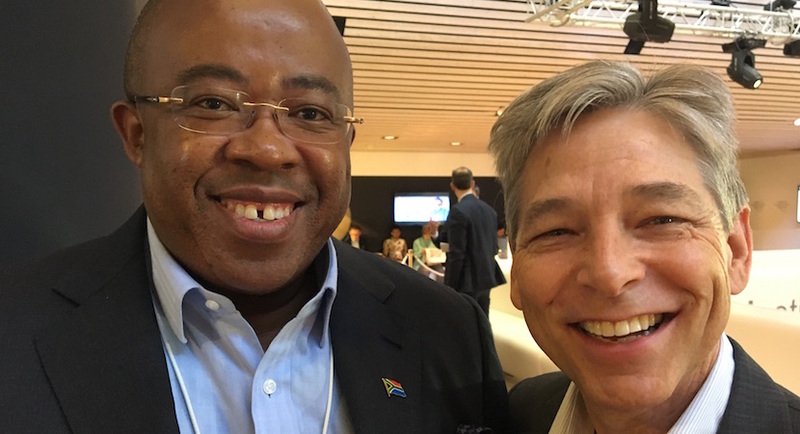 But from the Sasol SA, even the assets, which Paul has articulated to you, is strongly cash generated and we are of the view that the chances of success are very high. After the debt has been paid it’s important to emphasis that it will convert to sole BEE, which is Sasol Limited and not Sasol, which is also listed on the BEE Exchange. What is all of this costing shareholders? Effectively, to unwind Inzalo, and meaning that you serviced it as an external debt, as I’ve said to before, and to service the top-up in terms of the shortfall. That is around about 5%, based off a R400 share price so, that’s specifically to unwind Inzalo. When one looks at Khanyisa, then ultimately from an earnings charge or the IFO 2 charge that’s going to be round about R7.5bn, spread over the 10 year period. That’s effectively, of what the earnings impact will be. In terms of dilution the bonus shares, plus the conversion of the R100 incentive to employees, it gives you a dilution of round about 1.4%. Then ultimately, what we still need to access is then ultimately, how much of net value at the end of the 10 year period will convert into shareholding, and that will also result in a further dilution. However, we have looked at various models and that dilution is not going to be that significant. I haven’t got all the numbers at my fingertips but it sounds to me like it’s going to cost shareholders in total, somewhere north of R20bn. If you take 5% of their equity or of their market cap, at the current R400 share price, plus the 7.5 plus another 1.5%, it does appear as though that is the investment that Sasol shareholders are going to be making in effecting this BEE transaction. So, the deal value, where you write the total deal value is R21bn. I just want to make sure in my mind quickly so, ultimately what it will cost shareholders is the IFO 2 charge because that’s lower earnings, that’s 7.5, plus the bonus shares. That is a true dilution of 3, so that ultimately takes you to 10.5, plus the R100 thousand, which is two. So that is around about 12. Then ultimately, the rest of the SSA is kind of paid off by dividends, I will say so, it’s really the net value that you’ll issue shares for. It’s more closer to 12 than to 21. But then the 5% that you’re writing off now on the Inzalo Scheme, what will that come to or do I not add that to it? Yes, so the 4% was already at inception on the Inzalo so, there you’re right. The R2bn top-up you can actually add to that so, Inzalo – R2bn, in terms of the top-up that we stand in for, plus around about R12bn net on Khanyisa so, let’s say R14bn in total. Excellent, well that gives us an understanding and this would make you completely BEE compliant, as far as DTI Regulations are concerned? Definitely and maybe that’s the one point that we haven’t spoken too much about. It makes you on a Sasol Corporate level compliant. However, we have achieved on the other aspects of our business so, throughout the value chain we need to be empowered at Sasol mining level, where all the controversy with regards to the mining charter is happening. There we are empowered to a level of 46% and most of that is un-incumbent. Then on the liquid fuel side, which is totally downstream. In terms of the charter requirement we need to be 25% compliant, and then that is totally un-incumbent. So, it’s really this portion in the middle, in terms of the DTI codes. Again, as I said, the minimum of the DTI codes are 10% but that doesn’t take you to the level 4 and higher contributor that we want to be. Hence, our objective is actually to go much higher than the 10%, to overachieve the 10% value so, we can actually be a level 4 and higher contributor. Paul Victor is the financial director of Sasol. You’ve also been talking to Steve Cornell and Bongani Nqwababa, who are the joint CEOs. Thanks gentlemen, it’s been a fascinating insight and I hope that you have great success with the new scheme and that your shareholders and your participants are perhaps better rewarded by all the effort that you’ve put into it.